One Tue 17 Nov 2013 at the Arc Event center in Lekki, two beautiful pregnant celebrity moms were spotted at the wedding reception of Peter Okoye and Lola Omotayo. 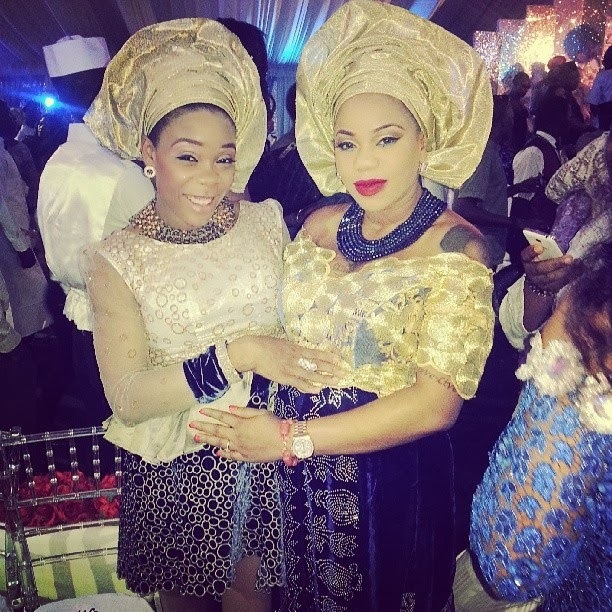 Talented dancer Kaffy and popular stylist and fashion designer Toyin Lawani were spotted rubbing each other’s baby bump. These beautiful women are in their late trimester. I hear Kaffy will soon deliver her second child for her hubby Joseph Umeh.